Established in 2011, Kraken is one of the oldest and also one of the most popular cryptocurrency exchanges that are operating in the market. Over the years, Kraken has succeed in building its reputation for being a secure and safe destination for any trader who is interested in buying or selling cryptocurrencies. Also, it has become the top choice of traders and institutional investors in a host of countries. Its ability to provide efficient trading opportunities to people in various fiat currencies has allowed Kraken to maintain an international appeal. 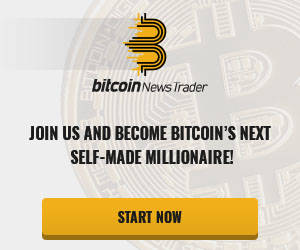 It is also regarded as the world leader currently in terms of Bitcoin to Euro trading volumes. 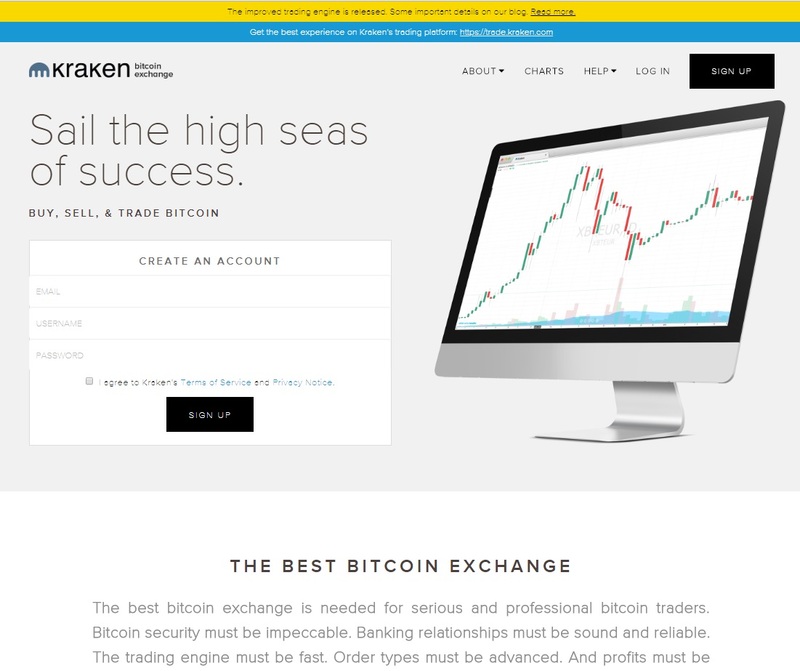 Founded in July 2011 by current CEO Jesse Powell, Kraken officially launched itself as a cryptocurrency exchange to the public in September of 2013. Based in San Francisco, the platform has some notable achievements under its belt and the most pivotal year for Kraken was 2014. That’s when it earned the title of being the top exchange by Euro trade volume, was listed on the Bloomberg Terminal and also headed the first cryptographic proof of reserves audit system. Today, Kraken is recognized as one of the most notable international exchanges and residents of Canada, US, Japan and other European nations can use it with ease. Kraken has also managed to outdo its competitors by offering its users multiple fiat currencies, which include the US Dollar, the Euro, the Canadian Dollar, the Japanese Yen and the British Pound. Another reason why the company has maintained a good reputation is because it has remained secure even in the face of hacking attempts. It was chosen as the platform through which Mt.Gox exchange’s creditors could receive their claims. After filing for bankruptcy protection, Mt. Gox’s administration team selected Kraken as a reliable partner for help in facilitating payments to creditors. You can enjoy a basic interface along with detailed information designed to help beginners. Kraken also has charting tools and data to cater to the more advanced traders. The platform can also be accessed easily across a variety of devices as there is an iOS mobile app also available. A high level of liquidity is another feature that Kraken has to offer to its users and this allows for high trading volumes and quick funding of accounts. Proof of Reserves Audit is also undertaken by the cryptocurrency exchange and it has also pioneered the movement of conducting audits that are cryptographically verified. Cold storage techniques are incorporated by Kraken in order to keep funds secure and it also makes use of PGP/GPG encryption. Two-factor authentication feature that’s offered by the platform, along with a global settings lock and a master key for maximizing user security. You can indulge in Bitcoin Margin Trading when you are using Kraken and benefit from leveraged trading of about 5x with shorting. Advanced order types are also offered by this particular cryptocurrency exchange such as automated trading and stop-loss orders. The exchange can currently be used in numerous European nations, Japan, Canada and the US. 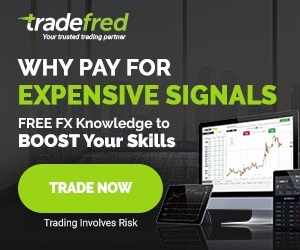 There are 47 market pairs on offer for traders and there are 7 base currencies including the US Dollar, the Japanese Yen, the Canadian Dollar, the British Pound and the Euro. Customer support is also provided by the platform that can be availed 24/7 throughout the year. While Kraken is mostly renowned for its Ethereum and Bitcoin to cash (USD and EUR) markets, it still offers a wide array of both cryptocurrencies and fiat currencies that can be traded on the platform. Some popular cryptocurrencies that are available include Ethereum (ETH), Bitcoin (XBT) and Tether (USDT) and also currencies like Monero (XMR), Ethereum Classic (ETC), Bitcoin Cash (BCH), Dash (DASH), Ripple (XRP), Litecoin (LTC), Zcash (ZEC), EOS (EOS), Melon (MLN), ICONOMI (ICN), Gnosis (GNO), Augur REP tokens (REP), Stellar/Lumens (XLM) and Dogecoin (XDG). Generally, the abbreviation of BTC is associated with Bitcoin, Kraken has chosen to go with XBT. Deposits and withdrawals through EUR, CAD, USD, GPB and JPY can be made and fiat currency payments are made via bank transfer. The SEPA payment system can also be used by traders who have a bank account within the European Economic Area. You can also enjoy margin trading on some currency pairs including XBT/USD, ETC/ETH, REP/EUR, ETH/EUR, XBT/EUR, ETC/XBT, ETH/XBT, REP/XBT, ETH/USD and ETC/EUR. You can open an account on Kraken with ease as the signup process requires you to provide your name, email address and password. You have the option of making either a basic or an advanced account. The former can be made by providing your full name, address, date of birth and phone number. For an advanced account, you have to deal with a more stringent verification process for completing your registration. You need to upload your ID, which means a government issued proof of residence or form of identification. If you are citizen of the US, you need to provide your Social Security Number whereas additional ID confirmation is needed in countries like Japan and Germany. After the required documents have been uploaded, the verification process can take anywhere between a few days to a week. You also need to set up two-factor authentication as this adds another layer of security to your account. You can fund your account when verification is complete. For this, you have to add a bank account from which you will make transfers. Bank wires and transfers are the only methods accepted for depositing funds. There is a comprehensive guide you can find on the website regarding Kraken’s trading fee structure. Trades falling under 50,000 in volume of your specific currency involves a maker fee of 0.16% and a taker fee of 0.26%. The fee structure is more reasonable than some of its competitors, which makes Kraken an excellent choice.